'A must-read for managing your career' Laurence Moor, Guardian Jobs 'If you want to be in charge of your own career-you must have this book' Daily Telegraph 'It's like having your own career coach with you every step of the way' Monster Bored with your job? Frustrated at work? Need a career change but don’t know what? Perhaps you’ve watched as colleagues have successfully fast-tracked or reinvented their careers and wished you could do the same. 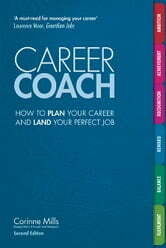 If you’re feeling dissatisfied or stuck career-wise, you need the help of a career coach – and that’s what you’ll find in this book. Career Coach will give you the tools to match your experience and skills to your new career - and help you take the practical steps to make your career aspirations a reality. 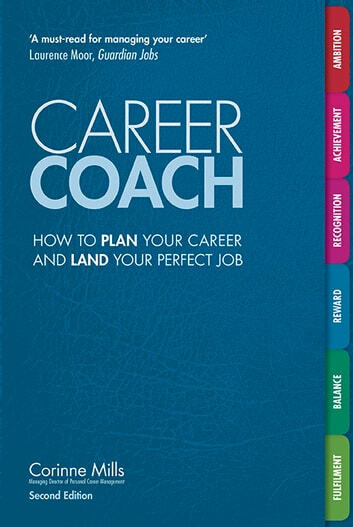 Career Coach shows you how to take back control over your career. Using the latest career management techniques, you’ll develop your own personal step-by-step action plan to achieving your career goals. This practical workbook takes you through a full career analysis in the same way as working with a real life specialist career coach. Follow the programme and complete the insightful quizzes and questionnaires to help you pinpoint your personal strengths and skills. It will show you how to explore your options, make smart decisions and then successfully implement your career plan. Inside this fully up to date second edition you’ll find an inspiring new chapter on real-life career success stories as well as expanded sections on practicalities of a successful job search campaign and starting your own business. You'll also find new advice sections for career changers, post-grads, women returning to work, pre- and post-retirement jobs and an exploration of other challenges like health issues, internal promotions and the threat of redundancy. Written by the UK’s leading career management expert, Corinne Mills, you can be sure you’re getting the best advice from someone who knows the job market inside out. How to Make Interview and Get that Position!